The sun is shining, flowers are blooming, and fresh fashions are hitting the racks of your favorite shops—all signs that spring is finally here. While clothing trends often receive the most attention during a shift in weather, accessories are just as important when it comes to dressing for the new season. Luckily, the spring runways had no shortage of adornments to offer. Add a finishing touch to your warm-weather outfits with one (or all!) of these top accessories for spring 2016. While it may be true that a girl can never have too many handbags, there’s one style that is a must-have for the spring. 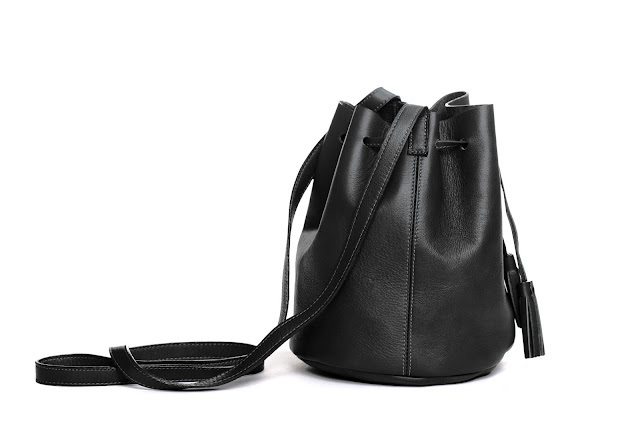 As Who What Wear notes, the bucket bag is equal parts form and function, making it an absolute must for girls on the go. Whether you prefer a mini version of the silhouette that reads cute and dainty or believe the bigger the bag the better, this classic purse delivers with an easy-to-wear shape and classic drawstring closure. To take this accessory to the next level, look for interesting details, such as suede fabric, fringed accents, and bold colors. Versatile, practical, and always on-trend, the bucket bag is definitely one to invest in this spring season (that is, if you haven’t already). With '70s-inspired fashion still going strong, the clog is right on-trend for the spring season. The chunky platform heel, combined with rich leather in neutral hues, makes for a shoe that is equal parts casual and chic. To find a pair to add to your spring wardrobe, Lyst’s collection is a good place to start, as it showcases a variety of clogs to choose from. From peep-toe sandals to bootie styles and everything in between, there are plenty of spring-ready options on display in their extensive edit. Then, you can take Brit + Co’s advice and rock them with socks and a flowy midi skirt for a twist on the usual pairing. A staple accessory of the '90s, the choker necklace is making a fierce comeback for the spring 2016 season. Lauded as a game-changer by the Los Angeles Times' fashion section, this particular piece of jewelry has evolved to fit the aesthetic of the modern woman. For spring, the designs run the gamut from dainty to super-embellished. Popular styles include metallic chains and floral motifs (perfect for the season). Even better, the choker offers an endless number of styling options—layer several necklaces together for a bold, statement-making finish, or wear a thin strand solo for a delicate, minimalist touch. Rolex is one of the hottest watches replica brands in replica watch market.These replica handbags have been very popular for years now and they continue their successful path in the fashion purse business. Comfort combined with style and chic have been the keystones for this brand's success in replica Christian market. Diamon is a very precious stone for jewels and also is elegant and classy. Diamond rhinestone choker is for those economy class peoplewho loves to see them fashionable.